Are high pressures a fact of life for your hydraulic equipment? When your hydraulic equipment is your livelihood, you can’t trust just any brand of high pressure parts. However, you can trust high pressure parts from Oilgear. Since 1921, Oilgear’s designers and engineers have been carefully studying high pressure applications and creating pumps perfect for the job. 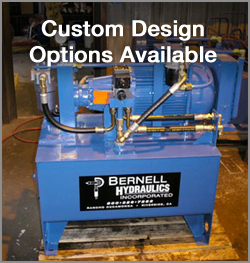 Wide Selection of Pumps and Accessories: Your Oilgear high pressure pumps in San Diego CA are really only as good as the hoses and valves they connect to. We stock an excellent selection of hoses and valves that can stand up to the pressure. Excellent Customer Service: We do a lot more than just place orders and open boxes. Our sales staff is incredibly knowledgeable about Oilgear products and we can help you choose the right Oilgear high pressure pumps in San Diego CA for your application. Repair and Maintenance Services: If you are having issues with your hydraulic equipment, our expert technicians can help. We provide troubleshooting and repair services for all kinds of parts including Oilgear high pressure pumps in San Diego CA.